Sophie is a member of the School’s International Relations team. Since graduating from the University of Manchester she has held posts in the Centre for the Study of Globalisation and Regionalisation, University of Warwick, and the Department of International Politics, City University. She joined QMUL in September 2012 and has since developed teaching provision in Global Health Politics and Africa and International Politics. 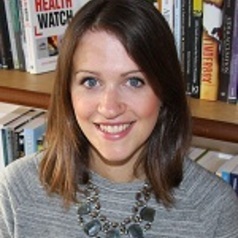 Sophie’s work focuses on the international institutions and funding streams that go towards global health initiatives, particularly in sub-Saharan Africa and HIV/AIDS. Her work straddles research on international development, global governance and international political economy. She is an active member of the Global Health Politics research community through her roles as co-convenor of the BISA Global Health working group, ISA Global Health Section Executive Membership, and advisory work to international agencies such as WHO, the European Parliament and UNAIDS.